If you like listening to music, it’s almost certain that you have a pair of headphones, or have worn a pair at some point. Who hasn’t? Headphones were such a revolutionary piece of technology back then that they changed the way people listen to, and appreciate, music. Then someone thought it was a great idea to put a mic on a pair of headphones, and the telecommunications industry has not been the same ever since. More recently, people decided that the audio cables connected to their headphones kept them tethered and restricted. The development of Bluetooth technology then cut the audio cord that tied headphone users down, thus creating a new, untapped market for wireless entertainment. However, the influx of Bluetooth devices resulted in competition that drove prices up and away from consumers who are on a tight budget. Fortunately, there are still a number of manufacturers such as SoundBot, who provide affordable Bluetooth devices such as the SB240. These entry-level Bluetooth headphones are just what you need if you need on-the-go music and offer great value for money. Bluetooth headphones are not typically known for being exceptionally good at delivering the full range of frequencies, the way wired studio headphones to. Nonetheless, the SB240 still does a fairly decent job of producing good audio quality, especially when compared to other Bluetooth headphones in its price range. 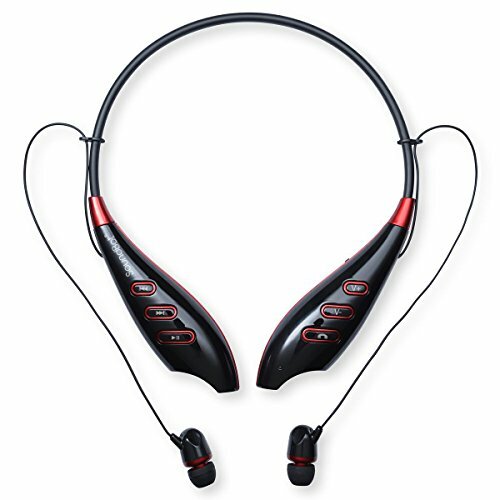 It is one of the few entry level Bluetooth devices that has a frequency response between 20Hz to 20 KHz. With some Bluetooth headphones, the audio can sometimes drop because of any number of reasons, such as loss or fluctuation of signal strength, interference, and poor source quality. As long as you’re within its effective Bluetooth range, you shouldn’t have those problems with the SB240. It uses Bluetooth v2.1 + EDR class 2, and supports devices that are compatible with the latest A2DP1.2 and AVRCP versions. The audio clarity carries over when you use the SB240 for phone conversations. The sound quality is clear enough for you and the person on the other end of the call to understand what either of you are saying to one another. In a way, Bluetooth headphones like the SoundBot SB240 Kermes Bluetooth Wireless Headphones are clearing the lines of communication. There really isn’t much to expect from entry-level Bluetooth headphones in the way of design and additional features. However, the SB240 does have a lightweight and relatively sturdy construction, and it folds into a tiny 5-inch package that fits into your gym bag or pants pocket. The SB240 features a trendy back-hang design that will not cramp your style, and is powered by a 400mAh Li-Polymer battery that gives you up to 20 hours of talk time. Or, 400 hours of standby. It charges via micro USB port, and is ready to go after only 4 hours of charging. The ear pads are cushioned for comfort, and the headband is made from strong but flexible material. All the controls are placed neatly on the right earpiece for easy access. It has a 5-button configuration, with the play or pause function, as well as the call answer and end function, assigned to the center button. Around it you can find the volume controls and the track selection buttons. 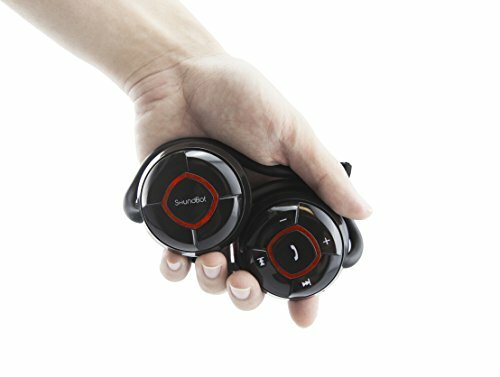 SoundBot offers two versions of the SoundBot SB240 Kermes Bluetooth Wireless Headphones. One is Kermes Red, which is black with red indicator lights around the multifunction button, and the other is Sapphire Blue, which has the same general theme as Kermes Red, but has blue indicator lights instead of red. As it stands, the SB240 is one of the most affordable Bluetooth headphones on the market today, retailing for a mere $15. You might be hard-pressed to find another pair of wireless headphones at that price that can even compare to what the SB240 is capable of. As you might know by now, Bluetooth wireless headphones don’t need be expensive. There will always be a number of entry level products that perform just as well as some of their branded but pricier competitors. The SoundBot SB240 gives you exactly what you need from Bluetooth headphones without costing you an arm and a leg. Its value for money makes it one of the most popular entry-level products around.